With shipwrecks, artificial reefs and other geological structures littered just offshore Charleston's beaches, trophy fish are plentiful without having to venture into the Gulf Stream. 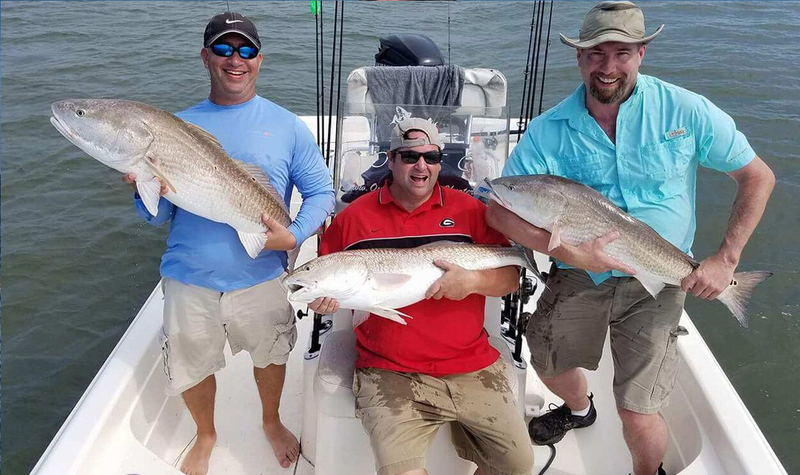 On our Charleston Nearshore fishing charter, expect to hook up with Spanish Mackerel, Cobia, various shark species, Spadefish, Bull Redfish, and maybe even the elusive South Carolina Tarpon - all within view of the shore. If you are feeling adventurous, we are happy to take you beyond view of land to chase the bigger fish. We have experience bottom fishing, jigging or trolling, and we will accommodate our client's wishes for their preferred fishing style. 3-20 miles out to a reef or ship wreck to target Black Sea Bass, Bull Red Drum, Black Drum, Sheepshead and Porgies. Our minimum nearshore trip is 6 hours. 6 Hours - $800 up to 3 people (add $50/person up to 6). 8 Hours - $1000 up to 3 people (add $50/person up to 6). 10 Hours - $1200 up to 3 people (add $50/person up to 6). When Are You Looking To Book A Charter? When Are You Looking To Book A Charter? When Are You Looking To Book A Charter? When Are You Looking To Book A Charter?